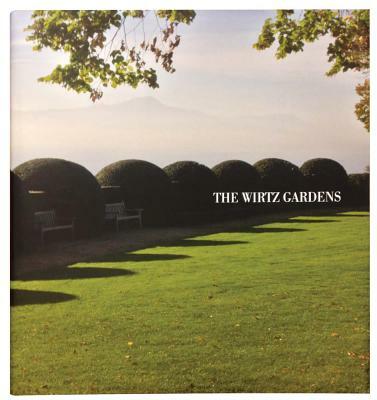 The third installment in the acclaimed, gorgeously designed Wirtz Gardens publications presents 32 gardens designed by the Belgian landscape-design virtuosos Peter Wirtz, Martin Wirtz and Jacques Wirtz--a mixture of private, public and corporate projects in Belgium, Switzerland, Japan, the US, France and England. For the first time, private projects in the US and Switzerland are shown, alongside more unusual projects such as the cloister gardens of the Hauterive Abbey in Switzerland; Wirtz's 2012 stage set for a Dior fashion show; and a secluded Japanese garden with a view of Mount Fuji. Every garden is accompanied, as it was before, by its plan and a brief text. Jacques Wirtz founded his practice in Schoten, Belgium, in 1950. The company has since become a thriving family business, with Wirtz's two sons, Martin and Peter, joining the firm. Gardens in Belgium and all its neighboring countries, plus Italy, Switzerland and the US, are underway; past work has been undertaken in Japan, Spain and Portugal. Wirtz International's private projects range from small courtyards to large estates, corporate headquarters, business parks and housing developments; public projects consist of parks, boulevards, city squares, university campuses, museums and streetscapes.